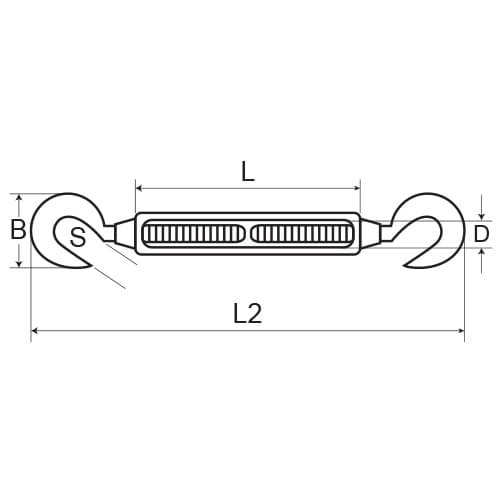 Traditional style open body turnbuckle with threaded hook ends, manufactured from A4-AISI marine grade stainless steel. 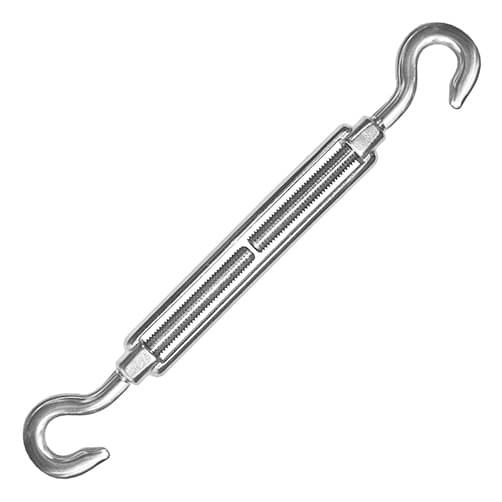 Traditional style hook/hook open body turnbuckle. An affordable range of wire rope tensioners ideal for landscaping and horticulture and also installations such as catenary cables, rigging and fencing. 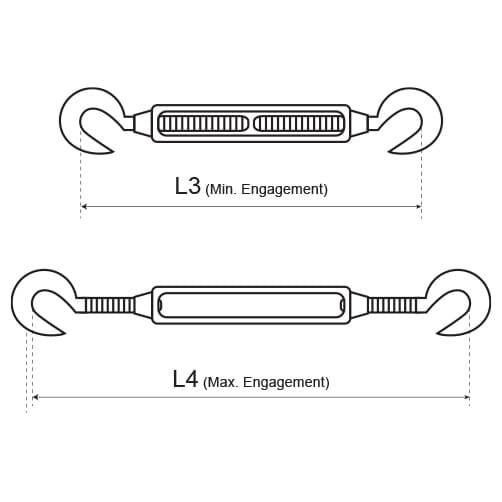 We recommend starting with your turnbuckle half engaged, this is so you can apply tension once fitted. Rotate the central strainer body by hand to release the threaded hook ends. Important If using with wire rope, it is important that the wire is NOT allowed to turn or twist as this could weaken the wire. A simple fast way to tension cable. I experienced a crossed thread on one, this was replaced immediately by S3i. great service and speedy delivery, I would recommend this company. Not fitted yet but will do the job, have been looking for these for some time. Good quality, easy to use and strong enough to create a sturdy support. Nice quality part, used on a shade sail, the 6mm looked best. Well made, good product, as described. Well made, does what it's supposed to do.